5 A couple sunbath in deck chairs on Brighton Beach, southern England. 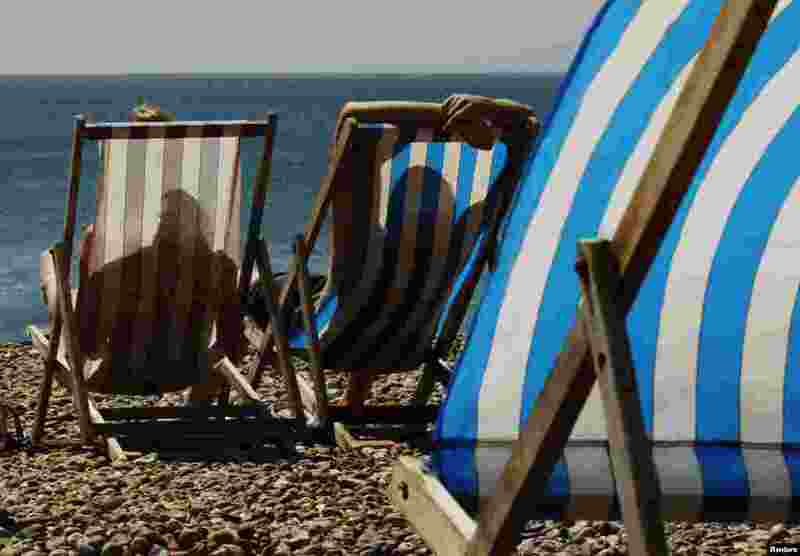 Britain's first prolonged heatwave in seven years has taken the country by surprise, with rails buckling, shops selling out of electric fans, and scientists estimating the surge in temperature could have caused hundreds of premature deaths. 6 Indian paramilitary and police patrol near a barbed wire fence during a curfew imposed on the Kashmiri summer capital in Srinagar. 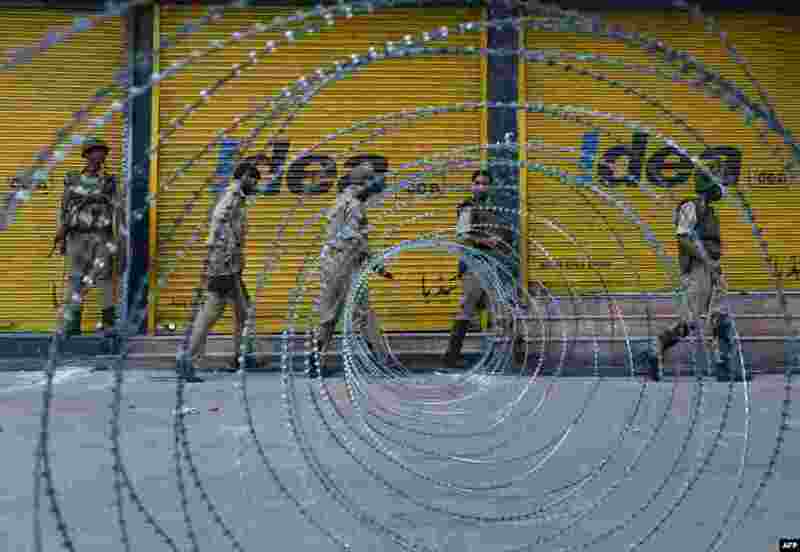 Indian-administered Kashmir's main city was under curfew after Indian paramilitary forces on Thursday shot dead six people protesting at a raid by troops on an Islamic school. 7 A journalist poses in front of mirrors depicting a scene in "Enter the Dragon" by the late Kung Fu legend Bruce Lee, at the Hong Kong Heritage Museum during the press preview of a five-year exhibition on Lee. Fans are marking his death 40 years ago this weekend with art gallery shows, exhibitions and even street graffiti. 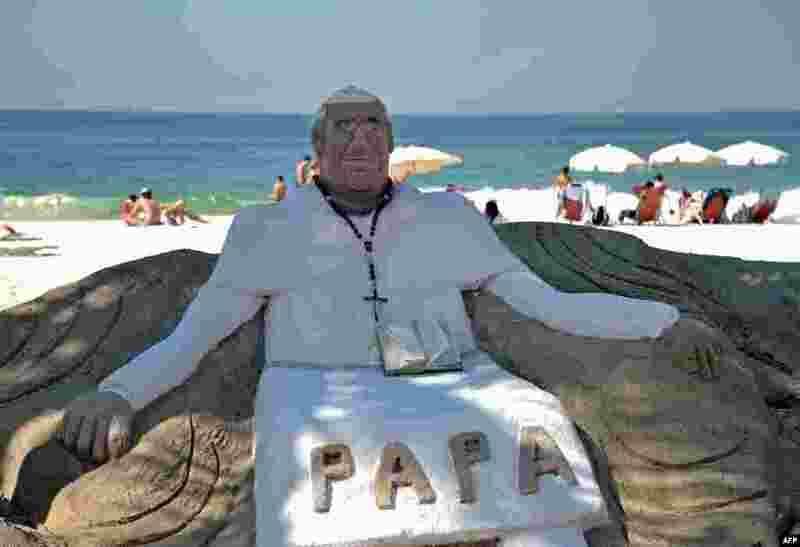 8 View of a sand sculpture depicting Pope Francis at Copacabana beach in Rio de Janeiro. More than 1.5 million pilgrims from around the world are expected to flock to Rio for the pope's July 22-28 visit during the World Youth Day, a major Roman Catholic youth fest.